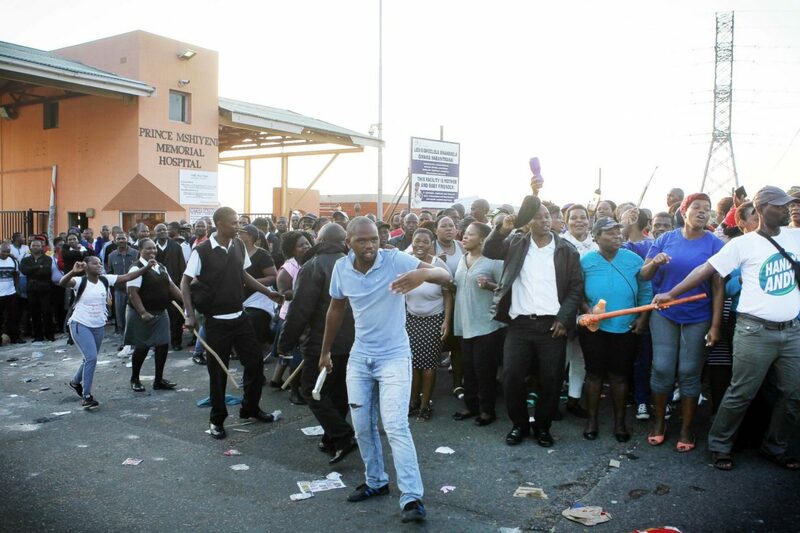 Around 400 national Department of Health employees, who work at a building in Tshwane, staged a protest on Thursday to demand that they are moved for their own safety. Staging a sit-in in the reception area of the Civitas building, which houses the national health department, the employees vowed to not work until Minister of Health Dr. Aaron Motsoaledi provided an alternative workspace and attended to issues at the building. “So if there was a fire now, the building would burn because there is no water to make sure the sprinklers are working,” said Mzolo. Commenting on Nehawu’s allegations, health department spokesperson Popo Maja said the building had not been declared uninhabitable and that the issue was now before the court. “The court will adjudicate on this and we abide by the decision of the court,” said Popo. He added that, while the employees raised legitimate concerns, he condemned what he termed as employees’ violence and intimidation tactics during the protest. Popo said the department also approached the court to interdict this behavior. “As Nehawu, we are extremely unhappy with the inability to shoulder the blame for the state of the Civitas building by the Minister of Public Works,” Xaba said. “It was evident during the inspection that the building does not comply with the minimum fire safety requirements set for a building of this height,” Msimanga said. “The building of 32 stories and of a height of about 100 meters, with approximately 1 700 occupants, does not have any firefighting water inside [it]. Read more on Johannesburg | health | Join the conversation! 24.com encourages commentary submitted via MyNews24. Contributions of 200 words or more will be considered for publication.